"Gerry Edwards FRICS CHort MCIHort is a fruit specialist and is the Chairman of the Royal Horticultural Society's Fruit Group as well as a Vice Chair of the Society's Fruit, Vegetable and Herb Committee, a member of the RHS Fruit Trials Forum and a Fellow of the National Vegetable Society. 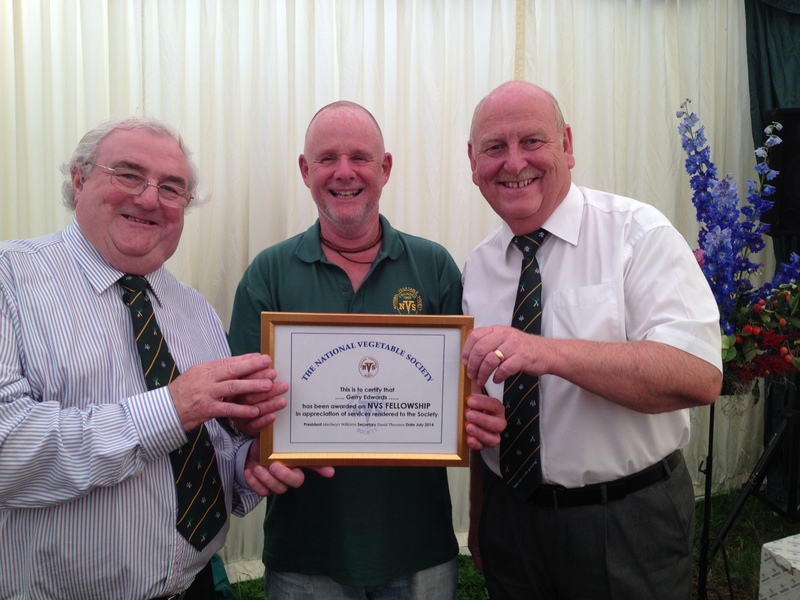 Gerry is also an experienced RHS Judge and writes regularly for The Garden and other magazines." Last year's RHS Autumn Fruit and Vegetable Competition took place on Tuesday 2nd and Wednesday 3rd October 2018 as part of the RHS Autumn Harvest Show. There was a terrific collection of apples, pears, grapes and vegetables on show and better than you will see anywhere else in the country! The picture below shows me with my collection of 9 apples and pears which won the Affiliated Societies Cup for Eastcote Horticultural Society. If you need any apples identified and you are unable to take them to any organised event do not despair! 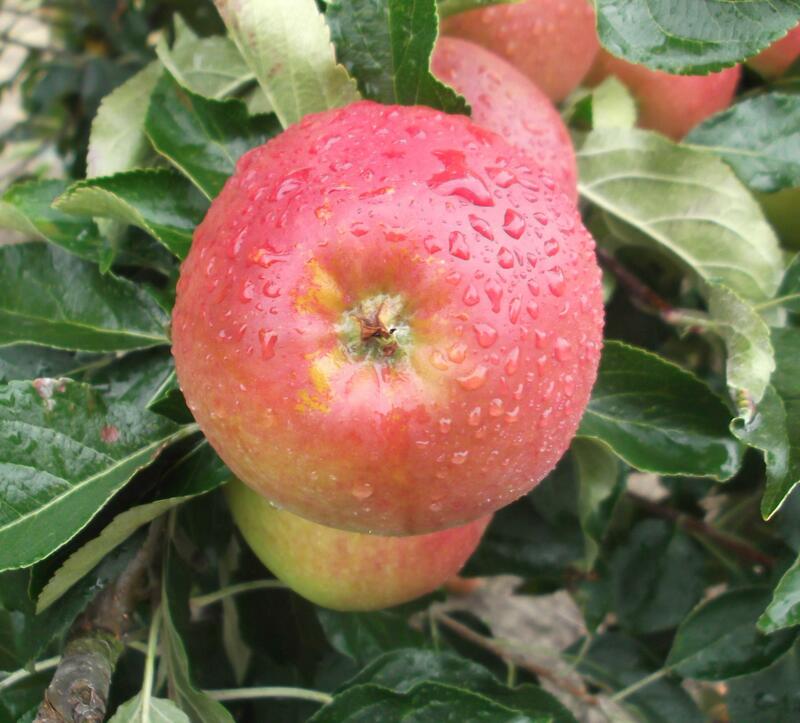 I am happy to have a look at any apples for you so please contact me directly if you need any help. During 2018 I was at most of the Royal Horticultural Shows - either advising or judging - and on two of those occasions I was able to meet up with two of my own personal heroes! I was absolutely delighted when the National Vegetable Scociety at their AGM in September 2014 honoured me by awarding me a much prized NVS Fellowship in appreciation of work that I have done foe the Society. If you are a member of the Royal Horticultural Society (RHS) why not join the RHS Fruit Group? Membership is only £7 and it will give you access to three events at RHS Wisley per year, two visits to external fruit growers or specialists and at least two Newsletters.